Join us for a special evening enjoying tasty Tapas and Craft Cocktails in a cool and cozy venue with friends. This event is all about discovering a new restaurant and giving your taste buds a change from Turkish cuisine. Guests will be treated to a unique and generous tasting menu with African influenced dishes using high quality ingredients. Menu includes your choice of cocktail. Protected content is a contemporary African-inspired eatery and lounge serving sophisticated dishes. 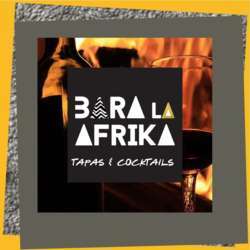 Their authentic pan-African cuisine offers a fusion of tastes from all over the world. Some from Africa, some from Greece, some from Italy, and some from far away islands. Make sure you try their Ethiopian coffee! This hip but friendly place is the perfect spot for us to easily mingle while enjoying delicious food and sipping on a drink. •	Royal Circassian Chicken Tartalettes: Chicken marinated in milk & prepared with ground walnuts & tasty spices. Served with freshly prepared fig chutney. •	Gomen Vol-au-vent: Ethiopia is on your plate. Softly braised green chard leaves are mixed with seasoned onions with special spices of Ethiopia. DRINK: 1 signature cocktail included. Subsequent drinks available at reasonable prices. They have amazing crafted cocktails!